Chapter One: The encounter that led to many. Chapter Two: Math is the language of the world. Chapter Three: So close, but never close enough. Chapter Four: The running back boy and the dancing girl. Chapter Five: Hope is stronger than fear. Chapter Six: It was their thing, only theirs. Chapter Seven: Passing up an opportunity with her was a sin. Chapter Eight: Phone calls at 12:00 AM. 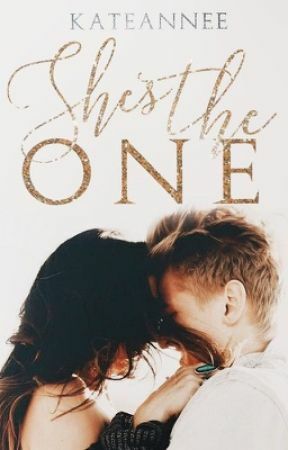 Chapter Nine: She has no one, yet he is the only one that matters. Chapter Ten: A beautiful stressed mess. Chapter Eleven: Cute is one word with a lot of meanings. Chapter Twelve: A stubborn Angel. Chapter Thirteen: To become a butterfly the caterpillar must break it's shell. Chapter Fourteen: We are all in the same league, my love. Chapter Fifteen: She was right beside him but her mind so far away. Chapter Sixteen: She's the reason. Chapter Seventeen: A dream that will hopefully come true. Chapter Nineteen: She's his queen and he's her king. Chapter Twenty: A smile can hold one thousand words. Chapter Twenty-One: Everyone could see their chemistry, but why couldn't they? Chapter Twenty-Two: There is only you. Chapter Twenty-four: A pillow fort. Chapter Twenty-Five: A beautiful blushing Angel. Chapter Twenty-Eight: The reason why. Chapter Twenty- Nine: Love is equal, my darling. Chapter Thirty: Falling for him. Chapter Thirty-One: The source of his happiness. Chapter Thirty-Two: His one and only. Chapter Thirty-Three: My morning is beautiful with you in it, my dear. Chapter Thirty-Four: The rubbish pit. Chapter Thirty-Five: A professional eye-roller. Chapter Thirty-Six: Their complex yet simple relationship. Chapter Thirty-Seven:He was her maze to solve. Chapter Forty: Insecurities can make or break you. Chapter Forty-One: Hurting her was a crime he would never commit. Chapter Forty-Two: He has her heart. Chapter Forty-Four: They will always be in one another's debts. That's love. Chapter Forty-Six: With every passing day. Chapter Forty-Seven: Love is a precious thing. Chapter Forty-Eight: Never judge a book by its cover. Chapter Forty-Nine: Her King and his Queen. Bonus Chapter (1): A year. Bonus Chapter (2): The third nights. Chapter One : Cupcake Invasion. Chapter Two: A broken routine. Chapter Three: Her weakness is him. Chapter Four: Home is where you are, my love. Chapter Five: She's one of a kind. Chapter Six: Makeup or make-out, that's the question. Chapter Seven: I'm not perfect but I feel perfect in your eyes. Chapter Eight: A classic game of truth or dare. Chapter Nine: I'll always be proud of you, my dear. Chapter Ten: Their Saviour and her love. Chapter Eleven: Secrets will only harm our relationship, my love. Chapter Twelve: Change is amazing. Chapter Thirteen: Love is weirdly complicated but simple at the same time. Chapter Fourteen: Communication is key, my dear. Chapter Fifteen: The aftermath of the night before. Chapter Sixteen: I can see through your fake smiles. Chapter Seventeen: I have questions and you're the only one with the answer. Chapter Eighteen: Without you I'm just a heartless human. Chapter Nineteen: Nights without my love are sleepless nights. Chapter Twenty: When I'm with you, I can be anyone and do everything. Chapter Twenty-One: I'm falling deeper in love with you every day, my love. Chapter Twenty-Two: I don't want you to worry about me. Chapter Twenty-Three: You pack quite a punch, my dear. Chapter Twenty-Four: You are the strongest person I know. Chapter Twenty-Five: Listen to my voice and we'll always find each other. Chapter Twenty-Six: Whatever happens I will always be there with you. Chapters Twenty-Seven: You are my only weakness. Chapter Twenty-Eight: It's all out in the open now. Chapter Twenty-Nine: I want you with me always. Chapter Thirty: I'd do anything with you. Chapter Thirty-One: With you everything is different. Chapter Thirty-Two: Good morning, my love. Chapter Thirty-Three: All I think about is you. Chapter Thirty-Four: Happiest birthday to the love of my life. Chapter Thirty-Five: She's changed and it's beautiful. Chapter Thirty-Six: My present to you. Chapter Forty: We are sisters at heart. Chapter Forty-One: I'm an open book to you, my love. Chapter Forty-Three: She's beautifully flawed. SHE grinned as she listens to the two boys bickering in the front seats. Who was the better looking out of the pair, was the topic of this conversation and Lydia didn&apos;t particularly want to get involved. She mentioned that everyone in school thought they were both twins and they both took it as an insult. As George parked the car in an empty space in front of the small 80&apos;s diner, he turned to face the beauty in the back seat. "Who&apos;s the better looking &apos;twin&apos;?" He asked, hoping she&apos;d say him. Instead of answering his question Lydia shook her head, "I&apos;m biased, it&apos;s unfair." Just like that Lydia Jackson had messed up the puzzle he was so close to solving. The puzzle being her. Following her, he stepped out of his car. His best friend grinning at him, "you have one hell of a girl, George." Sighing George smiled a genuine smile, that Chris has been seeing more often since Lydia has been around. "I don&apos;t have her, not yet, but she has me. She has all of me without even knowing it." Lydia let out her breath as she sat in an empty red booth, waiting for the duo to walk through the doors. "What&apos;s wrong honey?" A concerned waitress asked, looking at the girl she&apos;d seen a few nights ago. Lydia shook her head, "I&apos;m falling and I know he&apos;s there to catch me. I trust him and he trusts me, yet I can&apos;t admit my feelings because I don&apos;t deserve to. He deserves better." The waitress frowned at the young girl in front of her, she shouldn&apos;t be feeling this way. "He deserves you if you would catch him when he falls." PLEASE VOTE, COMMENT AND SHARE! Okay, I really want to visit Mindy&apos;s diner. Anyone else want to join me? Thank you for all your love!